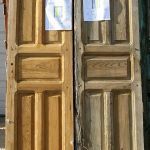 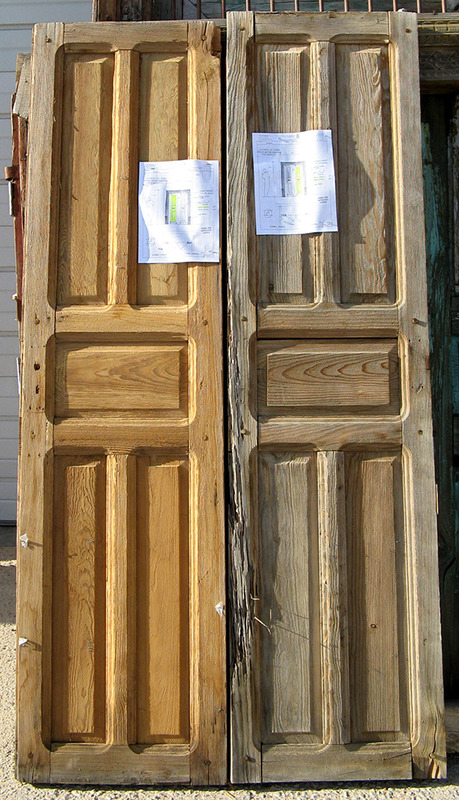 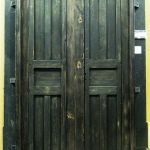 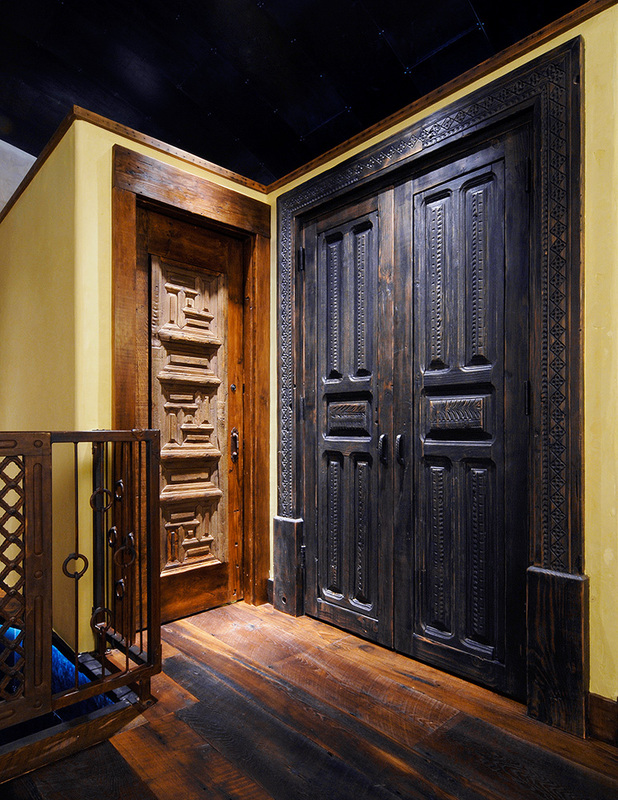 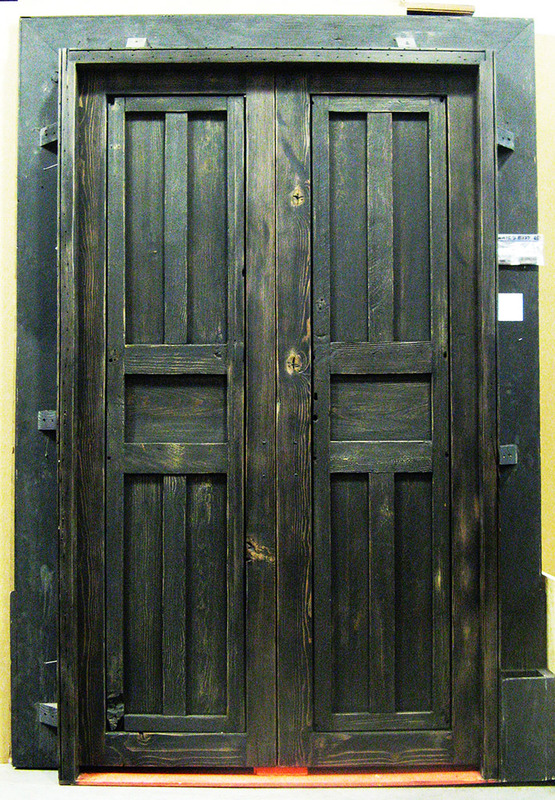 The powder room door on the left was made using an antique door with overlay, and the pantry doors on the right were made with a pair of antique Mexican doors. 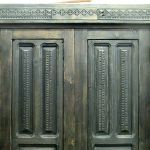 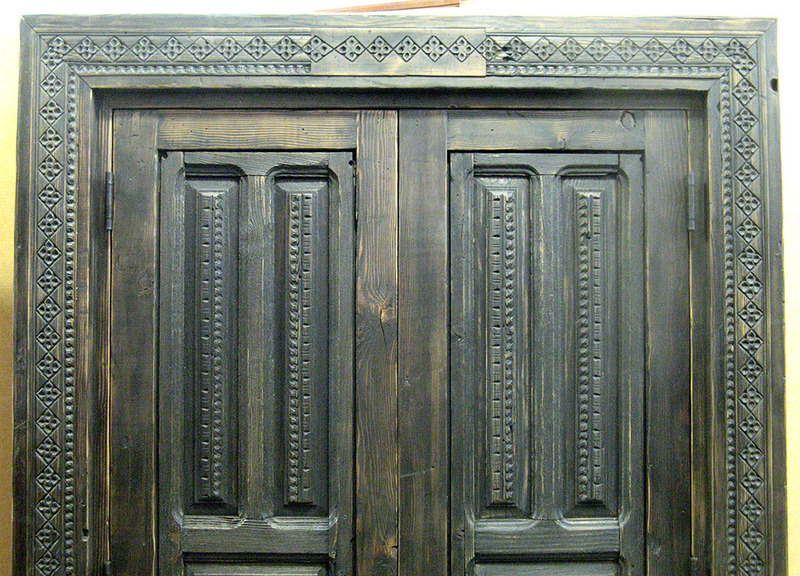 The surround was made with salvaged lumber inset with carved antique panels. 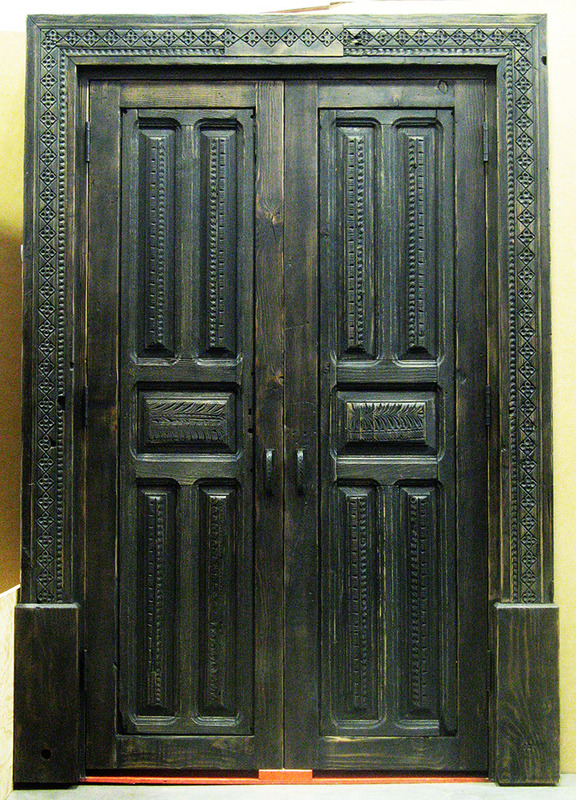 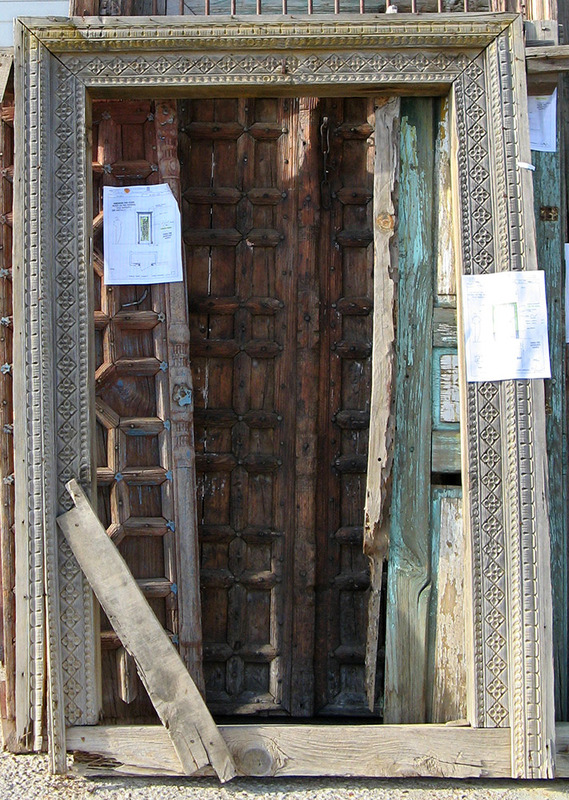 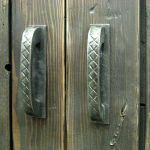 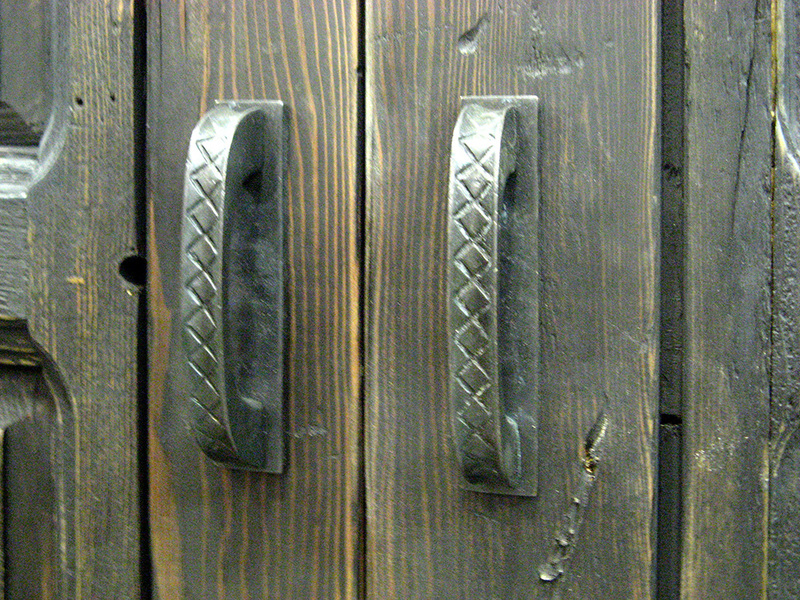 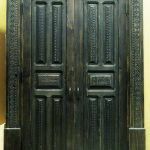 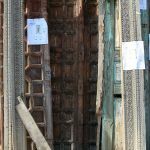 Though some are grainy, the detail photos for the pantry doors show the embellishments added to the antique Mexican doors, with inlaid antique panels and hardware that echos the carving, the antique carved surround used to accent the door panels and to make the door surround as well as the antique Mexican doors used to make the doors.